Sometimes with my photos it can be hard to distinguish up from down. This image is certainly one of those occasions. 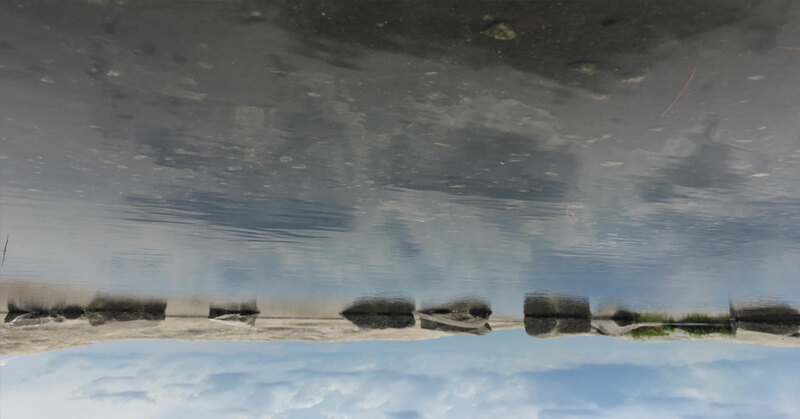 Taken in a rock pool atop Stone Mountain in Georgia, the sky and reflection come together along the stepping stones. The shadows and reflections help to deceive the viewer’s eyes until they study its every detail until all its mysteries are revealed.